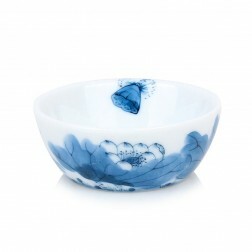 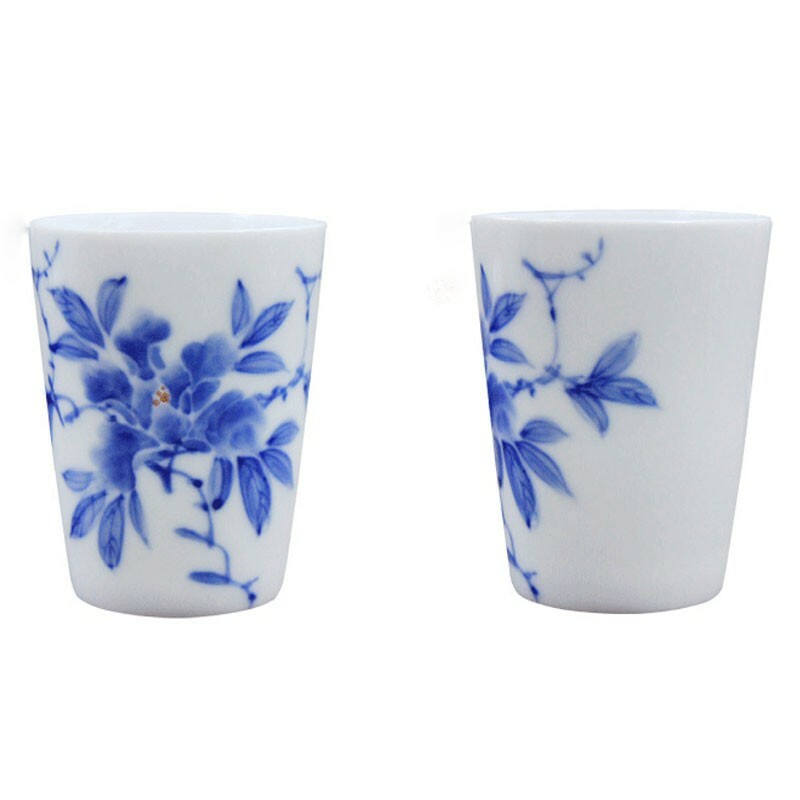 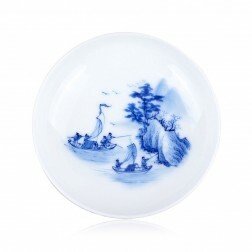 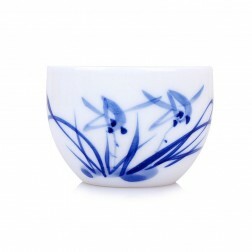 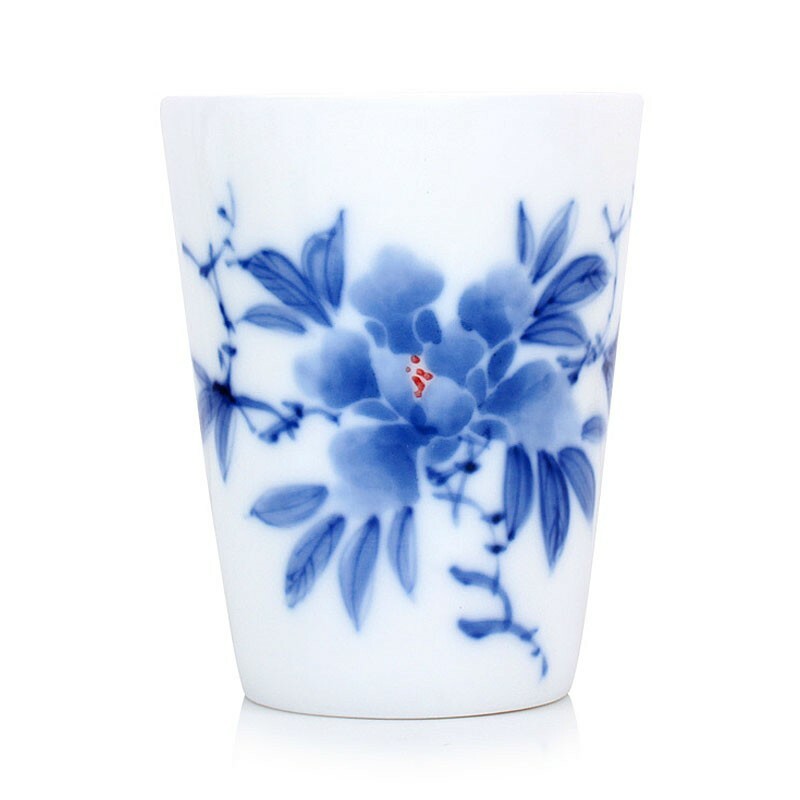 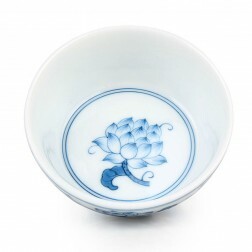 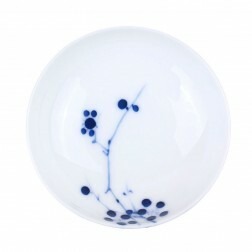 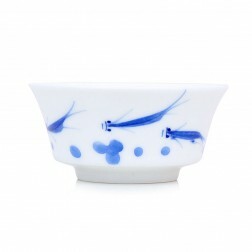 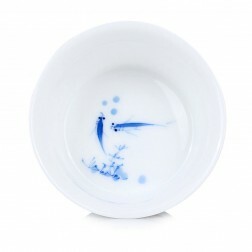 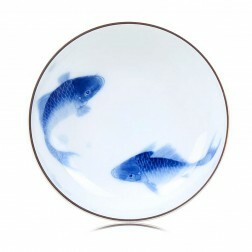 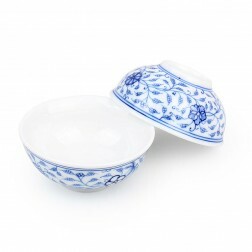 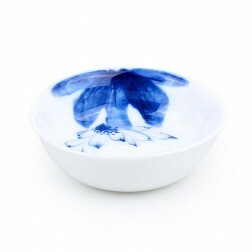 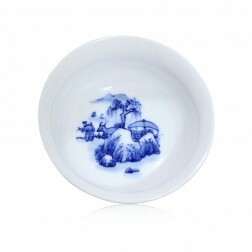 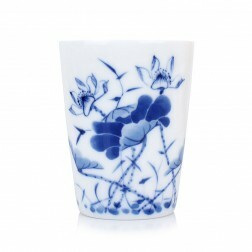 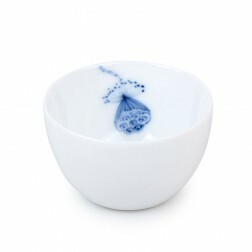 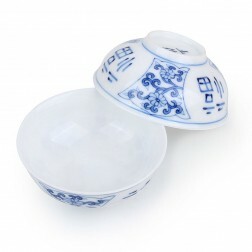 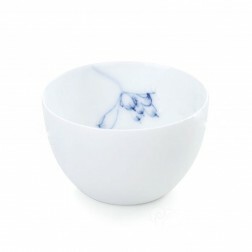 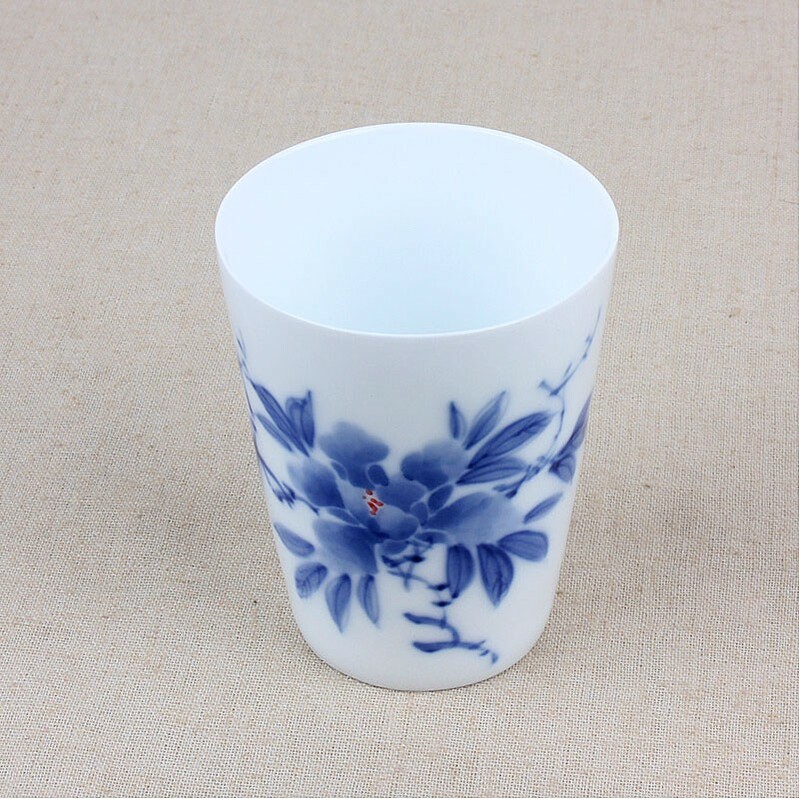 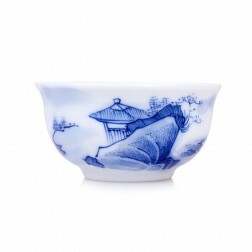 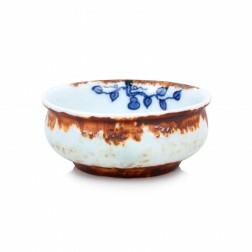 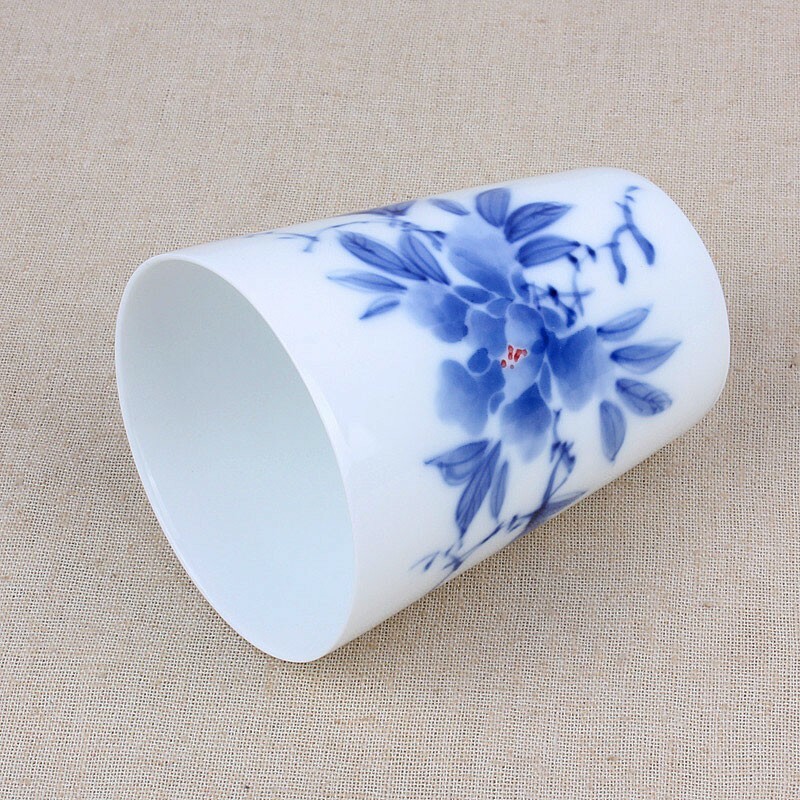 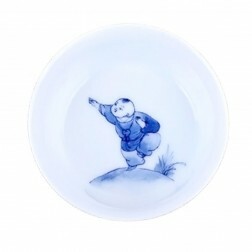 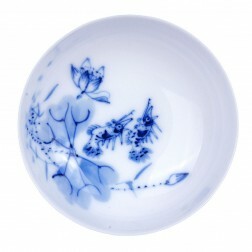 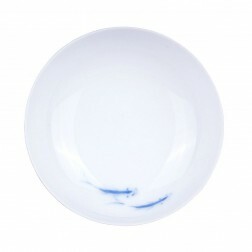 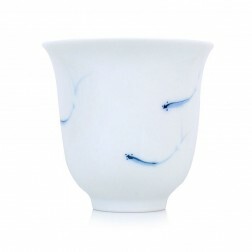 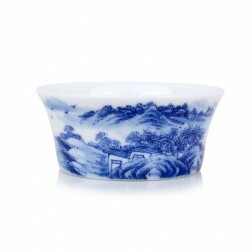 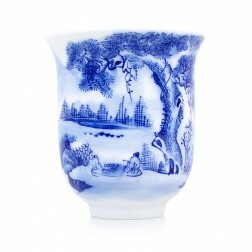 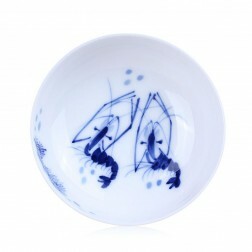 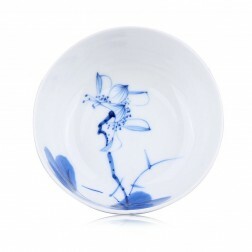 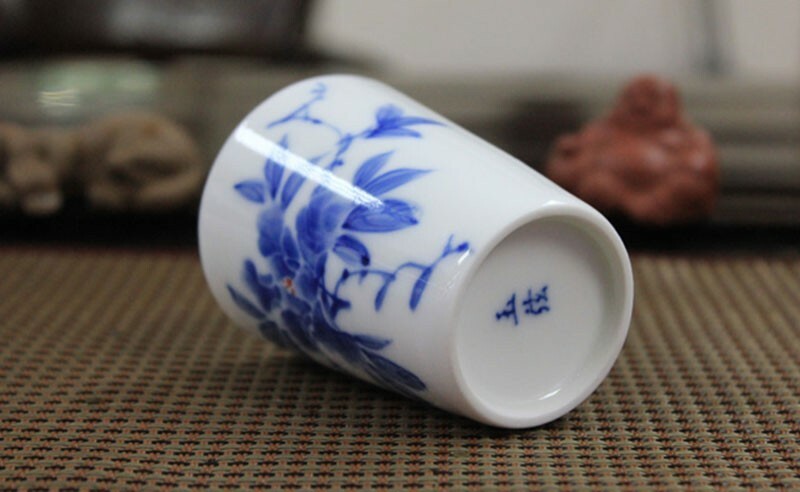 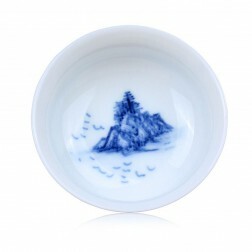 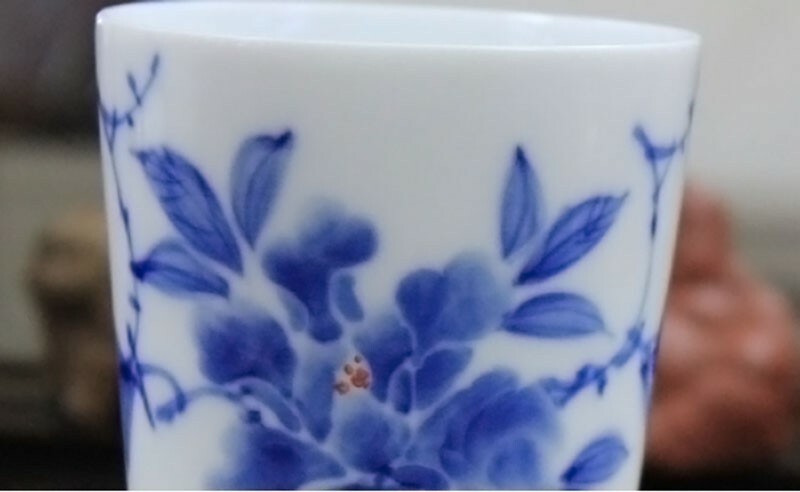 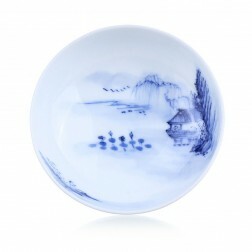 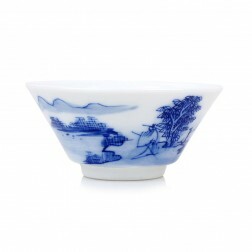 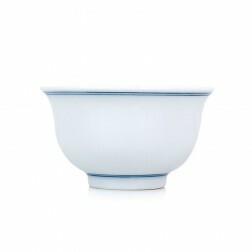 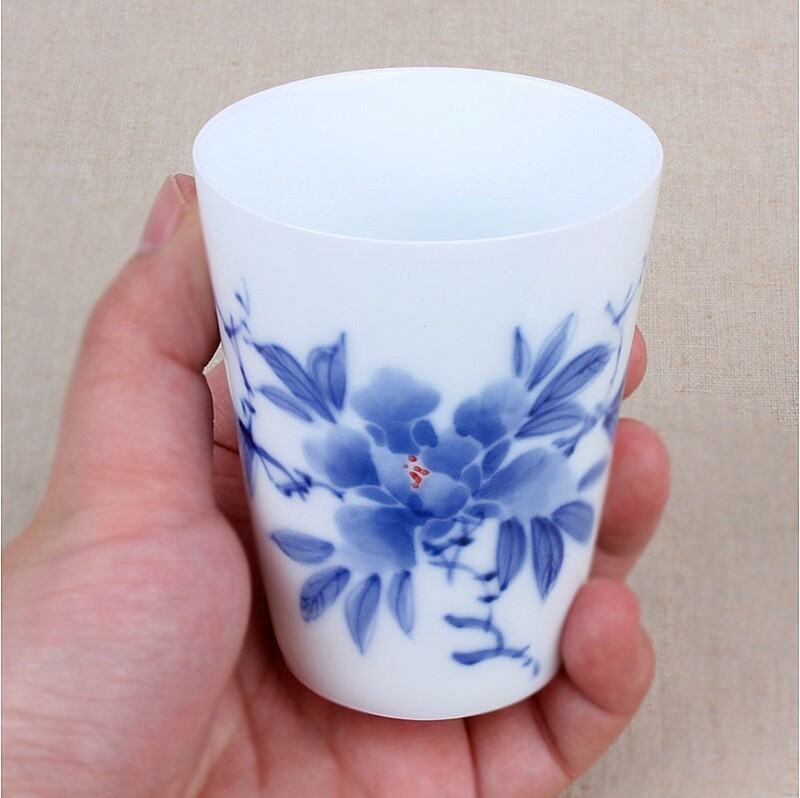 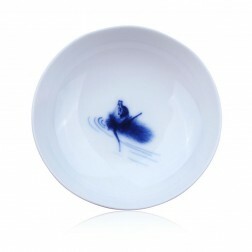 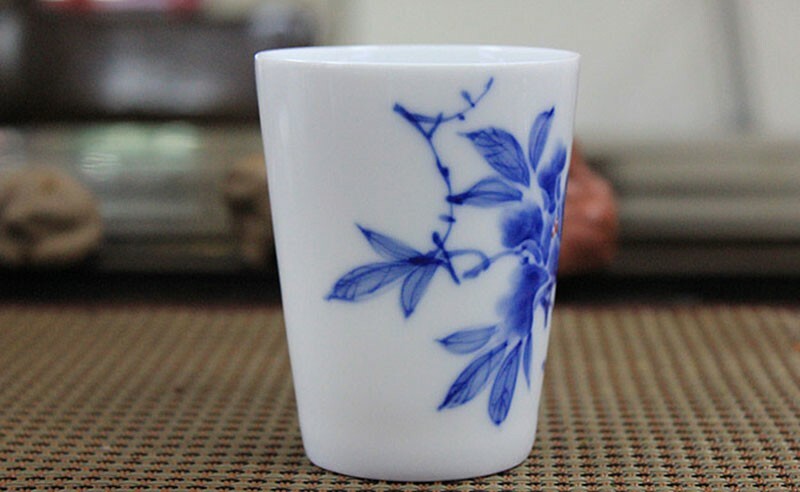 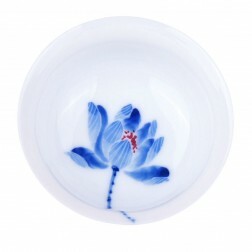 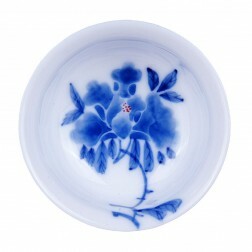 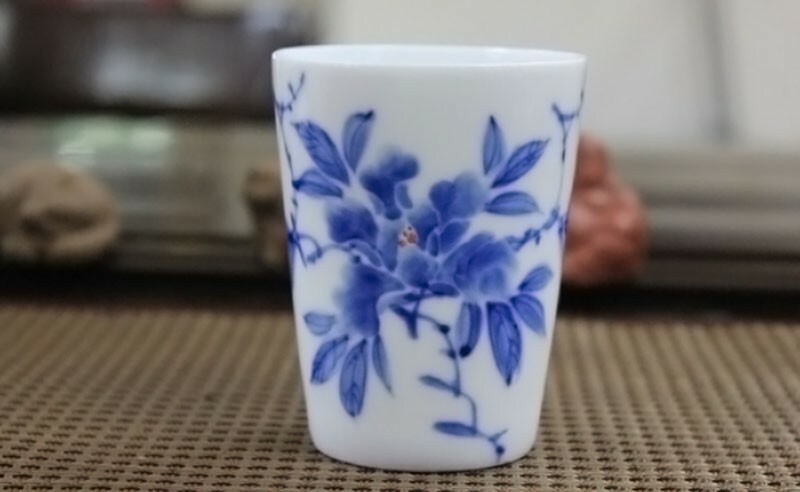 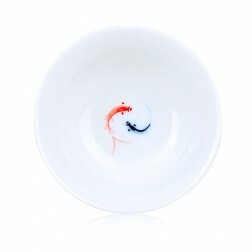 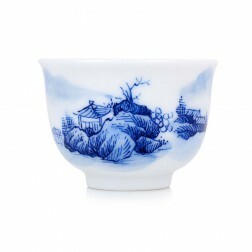 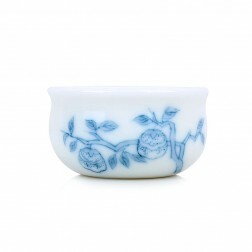 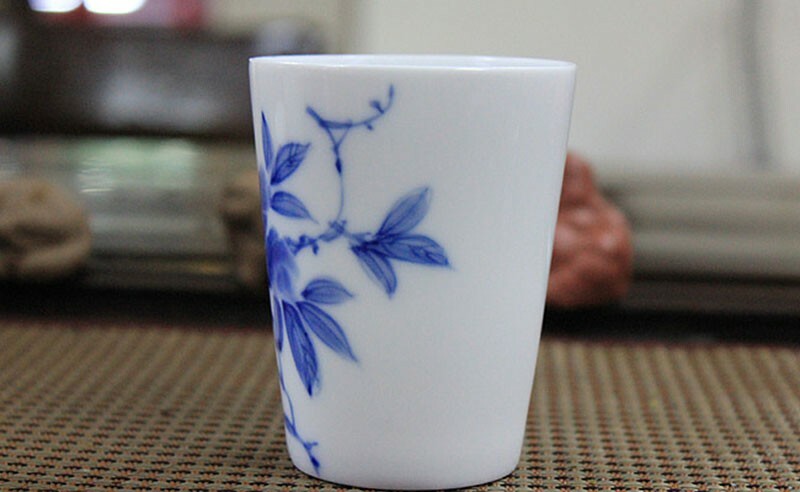 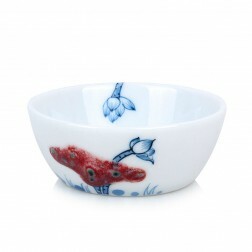 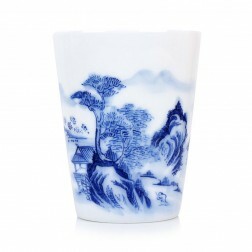 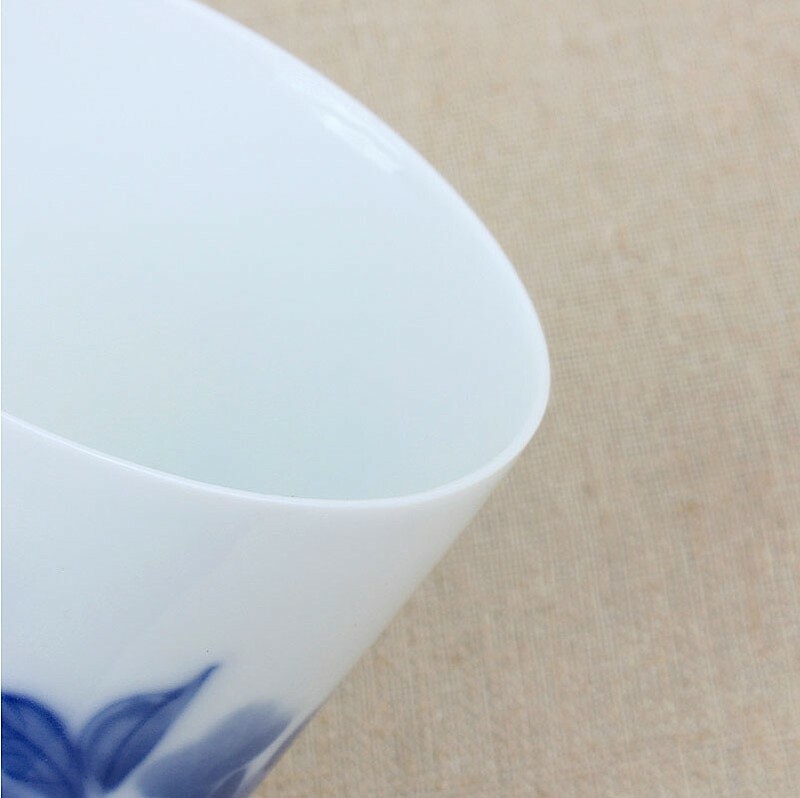 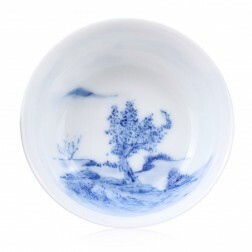 Blue and white porcelain tea cup with fine, smooth and exquisite hand-drawing pattern of peony. 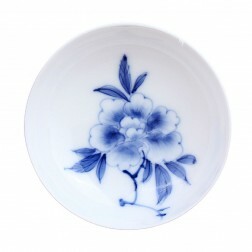 Peony is the national flower of China. 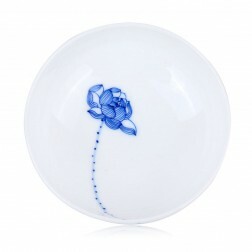 It represents wealth , glory and flourishing.